How To Play A Slide Show On Lock Screen In Windows 10? 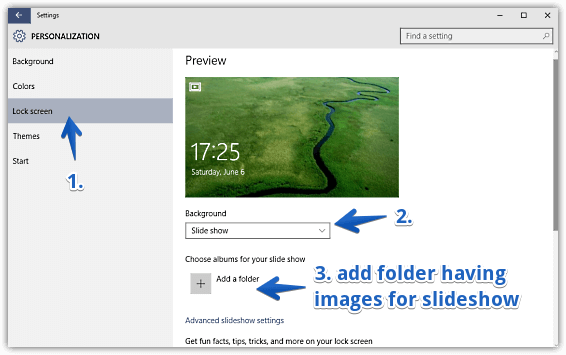 This tutorial details how to play a slide show on lock screen in Windows 10. Being its natural successor, Windows 10 carries forward a number of features introduced by Windows 8, polishing them even further. One of the most important of these features is enhanced support for modern UI apps. In addition to that, the entire Operating System itself presents a coherent integration of both traditional and modern style elements. One such feature is the lock screen, that is displayed before the login screen. As I’ve explained in one of my previous articles, the lock screen can display useful information such as temperature, unread emails, and other such notifications. You can also use a custom image to be used as a lock screen background. But did you know that you can play a slide show of favorite images on the Windows 10 lock screen, just in case one image isn’t enough? Sounds interesting? Let’s see how you can play a slide show on lock screen in Windows 10. Step 1: Open the modern Settings app, and click on the Personalization sub-category. And that’s it! From now on, whenever you login to your computer, the lock screen will always display a slide show of your favorite images. Isn’t that great? Windows 10 is arguably the biggest and most intensively re-imagined version of Windows till date. It offers a heck of a lot of features, runs on just about anything, and looks great. 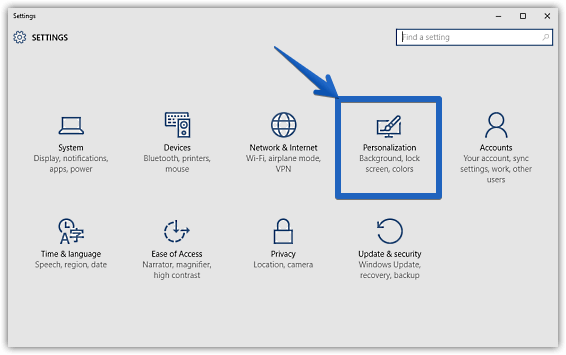 And as you’ve seen above, it’s also incredibly customizable. So what are you waiting for? Try this thing, and let me know what you think in the comments below.